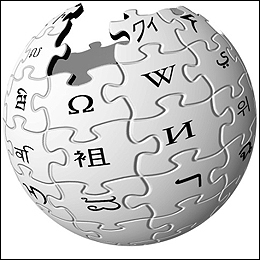 Picking up the thread of the past few days about Wikipedia's standing as a reliable source of information, more news surfaced in the past week surrounding the issue. USA Today reported that nine professors from prominent colleges including Harvard and Georgetown "agreed to make creating, augmenting, and editing Wikipedia entries part of their students' coursework." The idea is to capitalize on student access to journals and reference materials in college libraries that are not widely available to the public. To that end, professors at Harvard, George Washington, Georgetown, Indiana, and Syracuse universities will assign different Wikipedia-related projects as part of their courses. "The social media trend is something that students have definitely latched on to, and regardless of what everyone else thinks, they're going to continue to be involved with it. I would prefer, particularly if they're going to become 'Wikipedians,' that they do it properly." And an article in Science Daily reports that students are tasked with explaining graduate-level chemistry to the general public as part of their coursework. "In the process, students learn teamwork and improve their communication skills while mastering chemistry," [the professor] says." There's still a lot of work to be done before Wikipedia entries will be accepted as credible sources by the academic community -- and with good reason. But to me it's interesting to note that while the word wars wage, some members of the respected academic world are opting to collaborate with Wikipedia to elevate and validate its content. And that's exactly what Web 2.0 is all about.